“When painful memories are overcome by a strong mind”. No, this is not from a movie script or a book. It is not a quote from someone we all know. This is, in fact, a quote from a young Azerbaijani man attending a track II diplomacy initiative organized as part of the Imagine Center for Conflict Transformation’s “Dialogue for Action” program. The program is focused on quelling tensions between Armenia and Azerbaijan over the disputed Nagorno-Karabakh region. A long-running territorial dispute between the two countries has been at a stalemate since 1994 when Armenia and Azerbaijan signed a ceasefire. There has been little progress in resolving the conflict since then. The war between the two countries over the territorial enclave of Karabakh broke out in 1988. The escalation of the conflict in 1992 resulted in thousands of deaths and injuries and forced many refugees and internally displaced people (IDPs) to leave their homes, history, memories and much more behind. The phrase pretty much sums up something the two sides need to do: let go of the past and move on. The author of those words was one of the 18 other participants of the program who came together this year in the third-country, neutral territory of the Georgian city of Bakuriani to discuss the Karabakh conflict, its history, the present and the future. 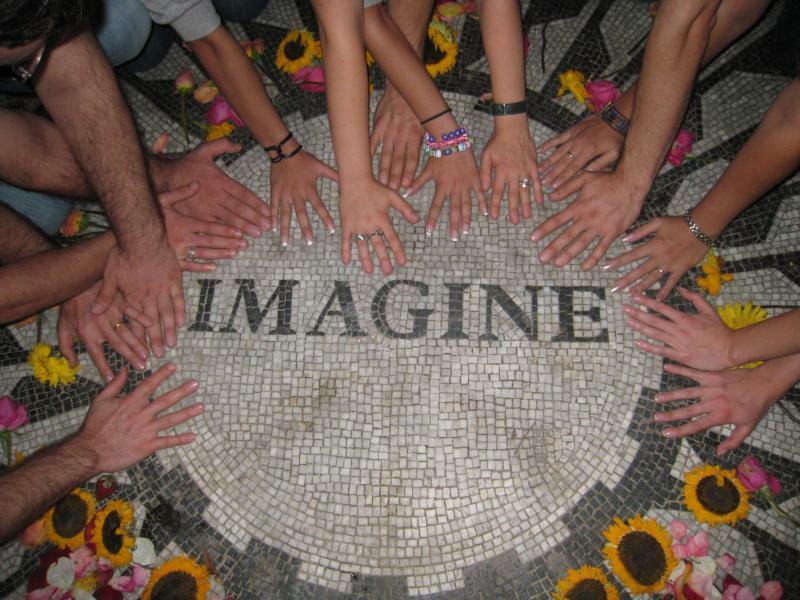 This was Imagine Center’s Sixth dialogue initiative. Founded by Philip Gamaghelyan, an Armenian, and Jale Sultanli, an Azerbaijani, in 2007, the Center is an independent, non-political organization. The non-political nature of the organization is key considering the difficult complexity of Armenian-Azerbaijani relations. Ever since the ceasefire, negative rhetoric and nationalistic propaganda from domestic media outlets and in government statements from both countries have fueled the conflict, making it harder for the two sides to reconcile. Furthermore, with recent diplomatic meetings between Armenia and Azerbaijani bearing no fruitful results, more work rests within the track II initiatives in re-building relations between the two communities and bringing them closer to understanding and reconciliation. It is against this backdrop that the Imagine Center has been working on transforming negative perceptions and attitudes by reaching out to the younger generation of Armenian and Azerbaijani professionals. Each year since 2007, the Imagine Center has brought together two groups of selected participants from the two countries. These meetings have taken place in a third country where the participants discuss the two communities' histories, perceptions, and attitudes. The goal is simple: transform negative attitudes, promote cooperation, and last but not least, create networks of individuals open to communication and committed to the overall peace building process. The Imagine Center's initiative uses a combination of reconciliation work, analytical dialogue, and outdoor team-building activities. It would not be an exaggeration to add that this is perhaps one of the few initiatives that directly addresses the conflict and examines the two countries' pasts. The challenge lies in getting the sides to understand each other’s almost diametrically opposed positions on the conflict. 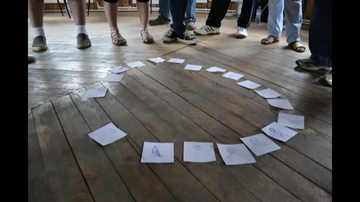 In one of the conflict resolution exercises, participants are charged with reconstructing a chronological time-line of the conflict. This task offers participants a glimpse into the past and the state of the current relations. It also creates space for the two sides to exchange facts and events the other side might be unaware of. Having discussed their differences, the two groups then proceed to analyze the present-day needs, concerns, and hopes of their respective societies. This triggers further discussion on the level of overall security and trust issues, which exist in both of the communities. The participants are asked to listen and most importantly understand the differences in their positions. In many cases, this session serves to highlight for participants areas of both mutual concern and commonality. The final part of the program involves joint project planning sessions during which participants brainstorm on possible initiatives that could be realized in their home countries upon their return. One of the successful projects that has emerged from the Imagine Dialogue is an online journal,Caucasus Edition: Journal of Conflict Transformation. This online platform is a unique forum for analysts, political figures, scholars and others to read analytical articles on the Karabakh conflict. Initiated by an Imagine 2009 participant, the Caucasus Edition came to life in April 2010 and, since then, has been a popular resource for many interested in the conflict, its history, and its current-day status. In November 2010, Imagine Center launched its second online platform, ‘Neutral Zone: Blog of Caucasus Edition’ a proposal put forward by Imagine 2010 participants. Unlike Caucasus Edition, Neutral Zone focuses more on social issues in both Armenia and Azerbaijan. From corruption to health issues and domestic violence, Neutral Zone contributors from Armenia and Azerbaijan focus on the similarities and differences that exist between both countries. Another joint project that came to life as a result of Imagine Dialogue was a fiction book, co-authored by an Armenian writer and an Azerbaijani writer. The story is about the life journey of two people, an Armenian and an Azerbaijani, whose paths cross as a result of inimitable circumstances. The book is currently available only in Russian. This year's Imagine Dialogue had many highlights. The 2011 dialogue gave voice to some truly remarkable personal stories about the reality of war and its consequences on the people of both countries. There were low moments too, but nothing that the spirit of unity the group experienced couldn't overcome. Perhaps this particular dialogue was an example when strong minds really did overcome painful memories; participants were able to understand that what they are taught in schools, the war stories they are told, and the deeply embedded stereotypes in their memories can be overcome by listening, communicating and understanding. Moreover, given the current status of the relations between Armenia and Azerbaijan and the hatred-fueled attitude of the two countries' people towards each other, there is a great need for more such trust-building and reconciliation initiatives. These initiatives will continue to be important as the negotiation process continues and the governments of both Armenia and Azerbaijan take further steps in reaching a solution over the Nagorno-Karabakh conflict.